You begin your stay by taking a look at the Museum of Archeology, which is located on Rokou Vergoti Street in Argostoli. This museum features artifacts that were excavated in various sites throughout the island. 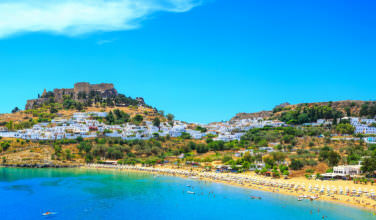 Since this island was a main player during the Mycenaean Era, most of the artifacts come from that time period. Though the collection is on the smaller side, the museum is informative and does give a nice overview of the history of the island. Since the museum is on the waterfront, there are also some great views here. If you’re still in the mood to visit museums after you’re done at the Museum of Archeology, consider walking a few blocks until you find the Cultural Museum! This island has a rich history, including occupation by the British Empire for a time. Many of the pieces in this museum relate to the era when the British were on the island. Evidence of the British involvement with Kefalonia can be found in various places, such as the bridge that connects Argostoli with the rest of the island. Argostoli’s main harbor is a place where a lot of activity, both by locals and visitors, is centralized. On most Saturdays, the harbor comes alive with a bustling market. 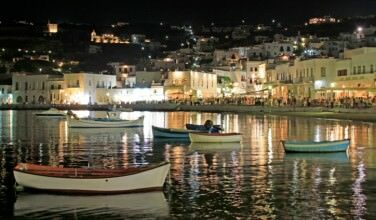 There are also plenty of shops to browse in as well as various restaurants, tavernas, and cafes, many of which overlook the water. If you love great food and prefer an area with a lot of activity, you won’t want to miss this! 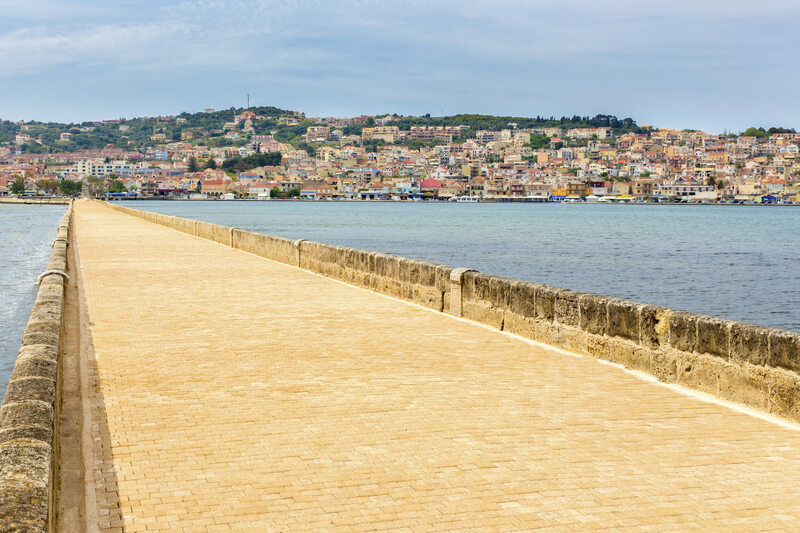 Platia Valianou is Argostoli’s main square and if you’re looking for an alternative to the harbor for places to eat and shop, consider heading here. There are plenty of restaurants and cafes to keep anyone satisfied! Spend some time wandering the streets, looking in the shops, and even eating a great meal. 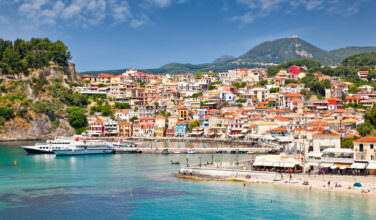 If you love the beach, Argostoli is also another ideal location. There are several beaches nearby, including Makri Yialos and Plati Yialos, both of which can be accessed on food. Spend some time lounging at the beach and then walk to the harbor or main square for a bite to eat after you’re done! 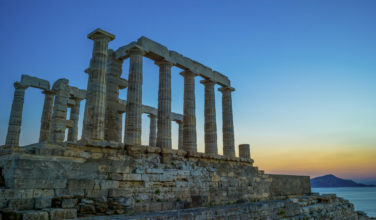 These activities will certainly pass the time nicely during your stay in Argostoli and the city does make an excellent location to base the rest of your travels in Kefalonia. If this city looks fairly new, it’s because much of the older city was destroyed in a devastating earthquake that took place in 1953, which made it necessary to rebuild much of the city.